Two-factor authentication (2FA) is a great way to add another layer of security to sensitive third-party apps and websites like Venmo. However, before iOS 12, to log into a particular 2FA-secured app or site on your iPhone, you'd have to memorize or copy the SMS code from Messages, then jump back in a timely manner to log in. Apple's latest iOS version streamlines this process. We're a big proponent of using 2FA, sometimes called two-step verification, when available — especially when they contain important personal and/or financial information. 2FA can keep hackers and other data thieves at bay by requiring you to not only input a password to log into an app or website, but also something that only you, the user, has, such as an SMS code sent to your device's phone number. While Apple itself has backed away from traditional SMS codes when it comes to securing users' iCloud, Apple, and developer accounts, instead using a six-digit PIN that's pushed out to "trusted" devices on your account. A hacker may have access to one of your devices, but they may not have access to all of them. 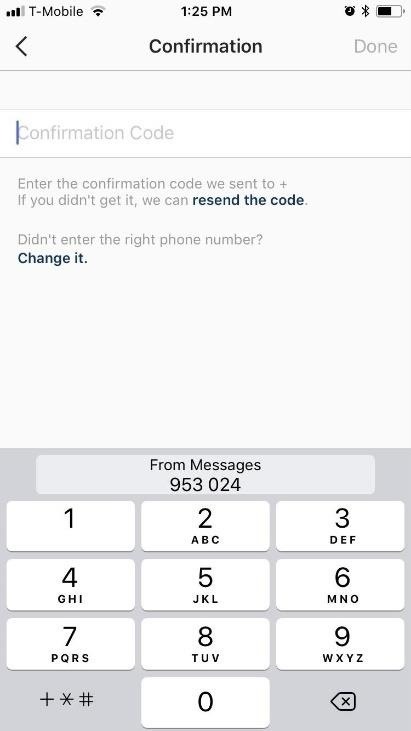 Still, Apple wants to encourage you to use 2FA for all your accounts, so they included a nearly automatic 2FA verification process for SMS texts, which makes the code available as an autofill option. 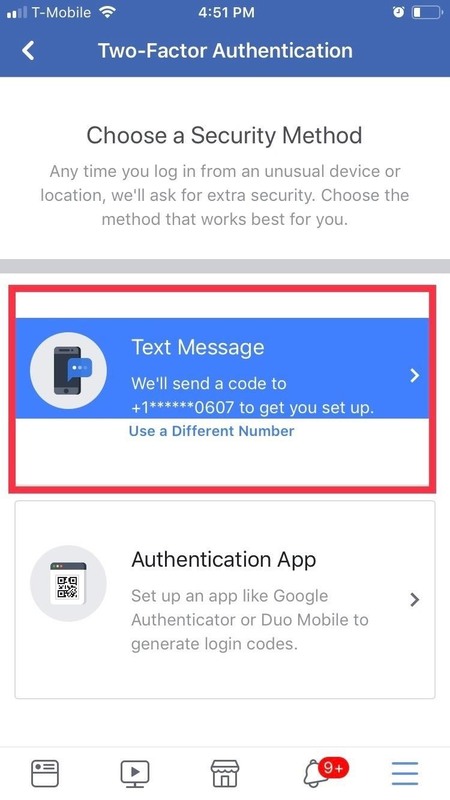 This means you'll no longer have to switch to Messages or try to memorize numbers from a banner notification to retrieve 2FA digits each time you log into a protected service, saving you time and hassle if you input the code too late. 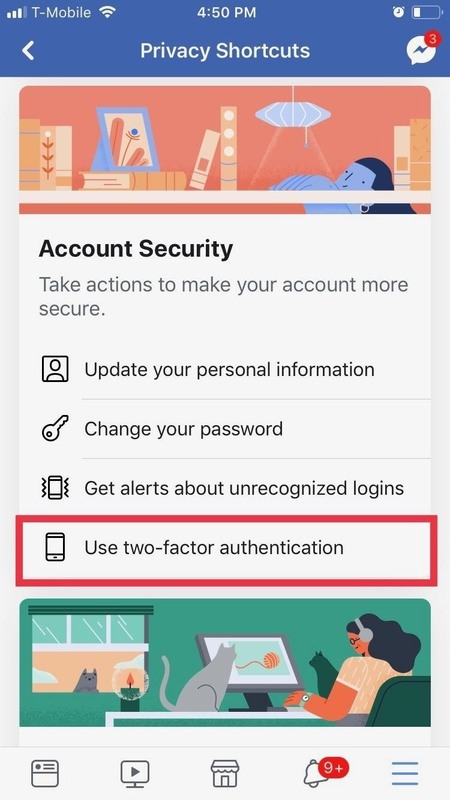 Of course, you'll need to have 2FA enabled on the apps or websites themselves (if they support it) to take advantage of the new autofill feature. 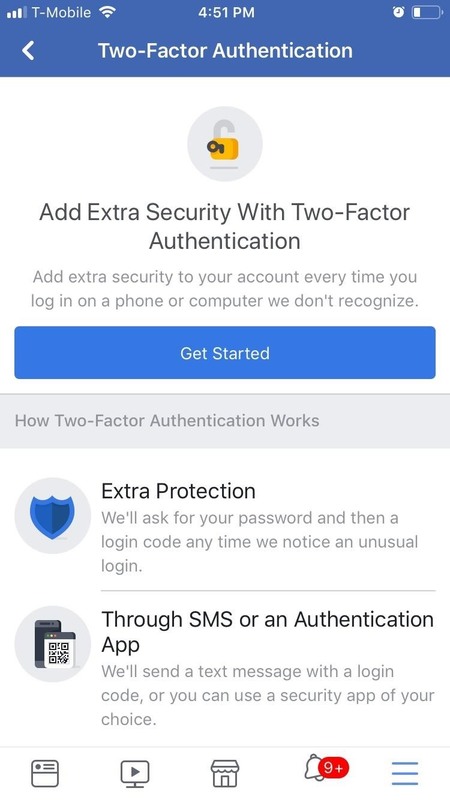 The process of turning on 2FA differs from app to app and site to site, but usually involves accessing a security or privacy page within the app's settings and tapping on Two-Factor Authentication, then selecting "Text Message" as a means to relay 2FA codes. With 2FA enabled on your apps, let's go over how the new autofill feature works. 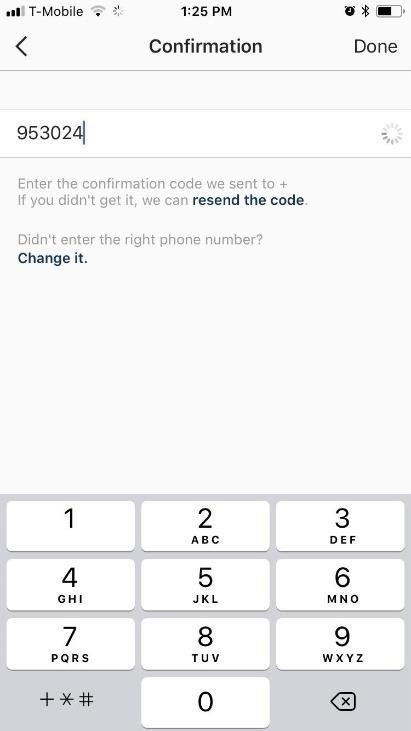 As an example, let's say you have 2FA enabled on your Instagram app, and once you've entered your login credentials, you're now taken to its 2FA verification page to input a six-digit code. In the past, you would have to switch over to your Messages app to manually retrieve it or memorize a popup notification. 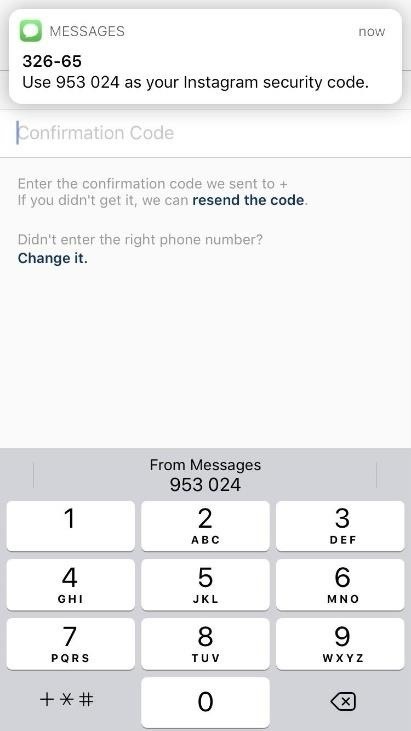 With iOS 12, any 2FA codes that are sent to your Messages app are automatically transferred to the numeric keypad as a suggestion within your app's verification page. So just tap on the suggested code to autofill the confirmation box, and you're all set. If you received the code too late, don't fret — simply have the code resent, and the automated process will repeat again for you.